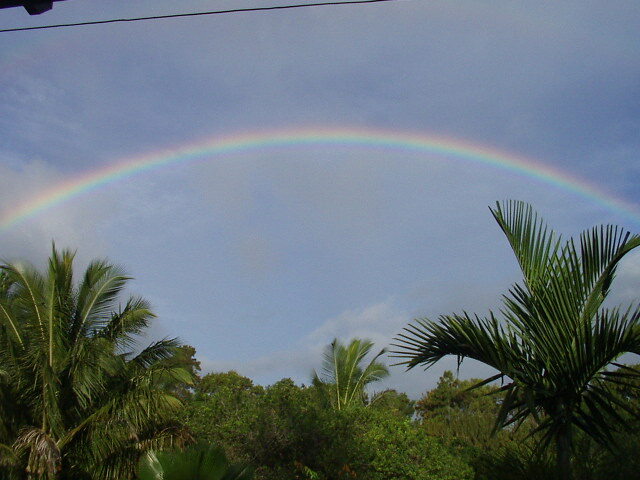 We are providing a unique island experience on North Shore Maui, Hawaii. This is the lush tropical side of Maui. 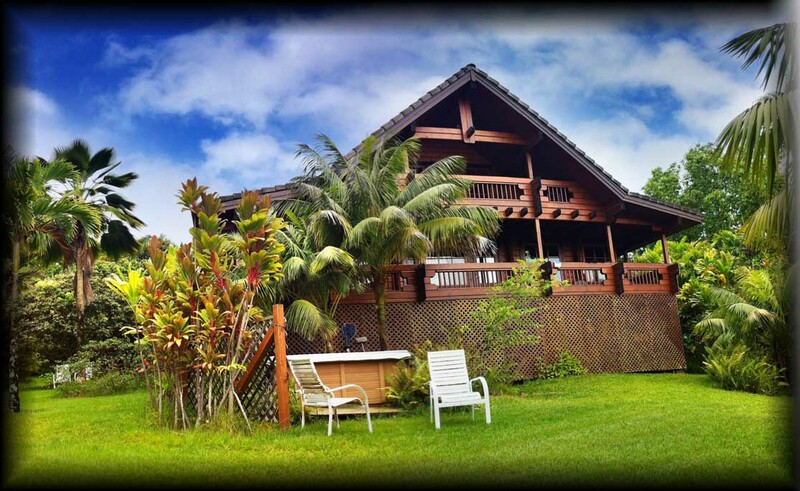 over 2 acres beautifully landscaped with a large variety of tropical trees and flowers. Birds love it here. Close to hiking/swimming waterfalls area. We are on the way to Hana, just as the road starts winding. This incredible home was actually brought from Finland by ship. 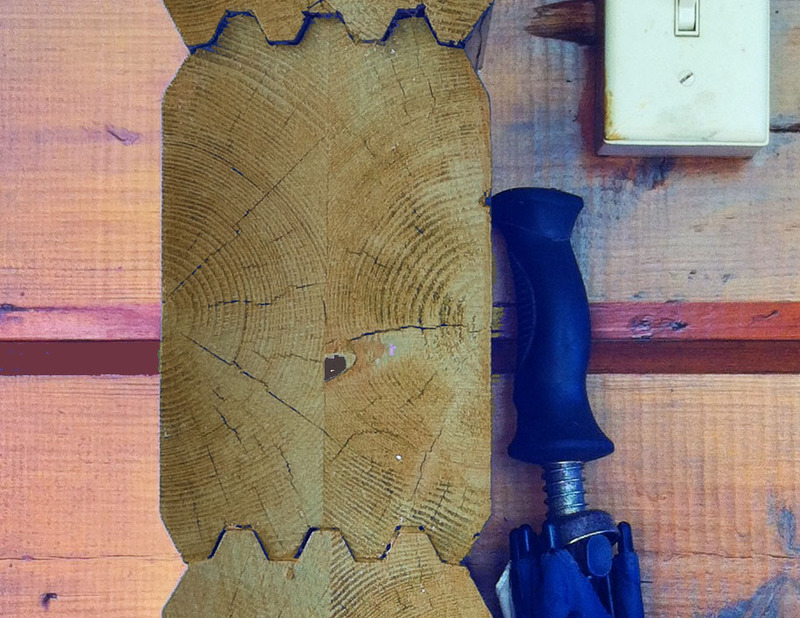 The logs ( Arctic Pine) are over 5 inches deep, cut lengthwise, laminated, squared and triple notched. 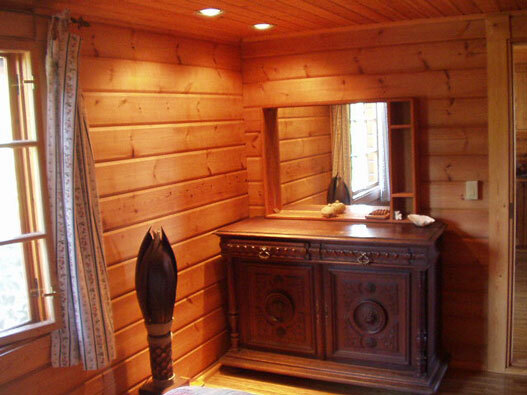 Real Scandinavian quality, classic design. 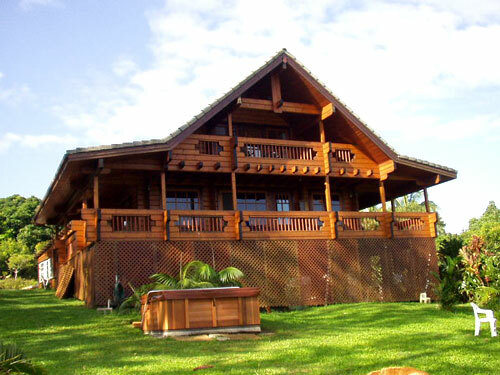 It sits beautifully perched, one property back from the cliffs of Waipio Bay, a landscape very much like Hana. 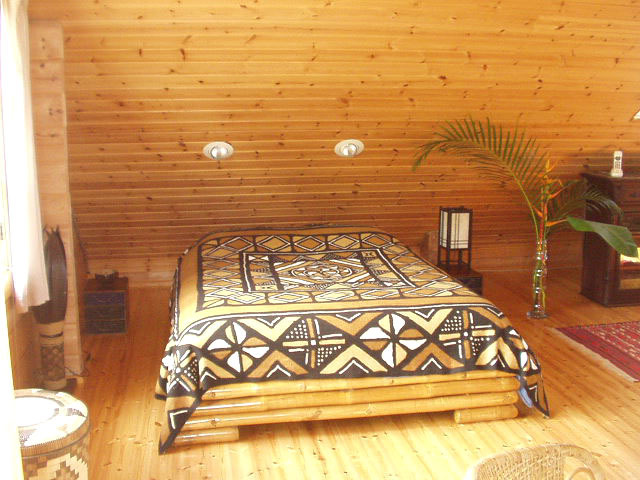 Very comfortable home with all the amenities plus BBQ and snorkel/beach gear. 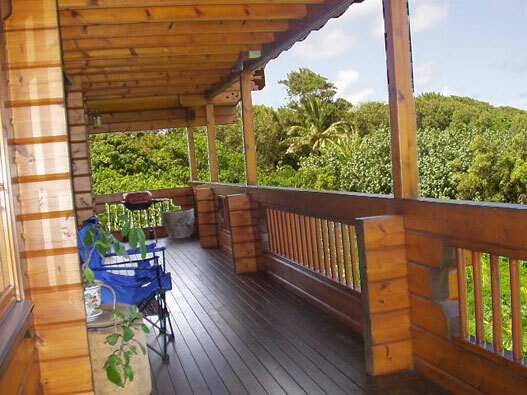 One can enjoy the lovely porch and balcony with beautiful Ocean view any time of day. Only 15 minutes from Hookipa Beach Park, 20 minutes from Paia, 20 minutes from Makawao, 30 minutes from the airport, an hour from Hana. Steve & Jette Slater have lived in this part of Maui since 1982, as we think this is the best part of Maui and and had their own Consulting Business (www.vcasa.net ), since then. We live by our integrity, otherwise we would not have stayed in business 29 years on an Island with less than 140,000 residents. Interested in Tropical Trees & Plants? Sustainable forestry since 1958, Karstula, Finland. back to back, then triple notched. Both processes are patented. You feel like you are living in an art piece. 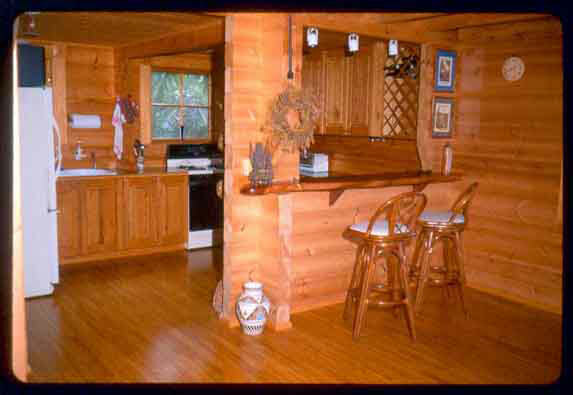 These 5" logs insulate & with the trade winds, keep the Chalet at the perfect temperature, naturally. 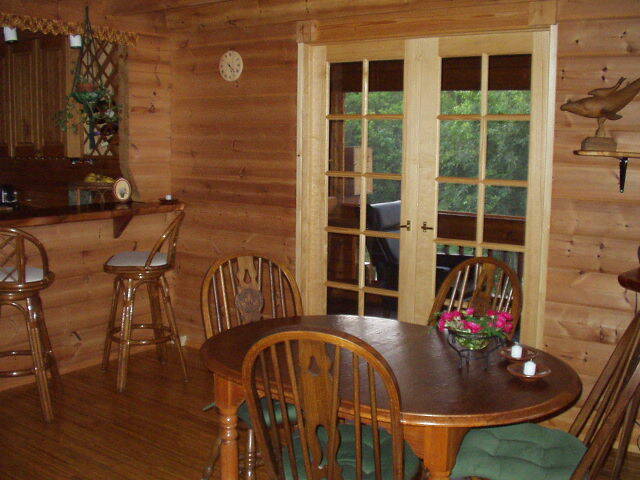 2 Bedrooms, 3 sided wrap around deck plus upstairs deck (1,650 sq. ft.) All decks are teak. 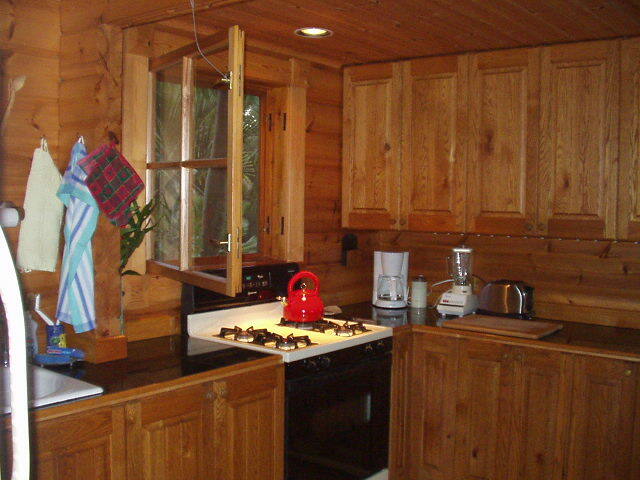 The Chalet is Finnish Arctic Pine, 12 years old, mint condition. 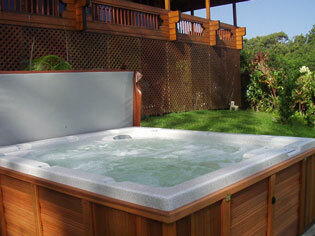 Large 30 Jet Outdoor Jacuzzi Spa, DishNet TV, VCR, DVD, High Speed Wireless Internet, Full Kitchen, BBQ, Snorkel Gear. 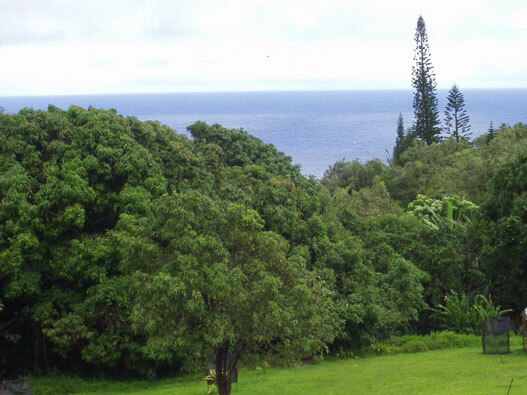 Really different, beautiful, tropical, Hana style Hawaiian Landscape. Peaceful, relaxing, but surprisingly close.